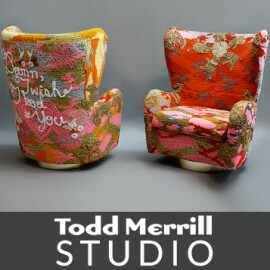 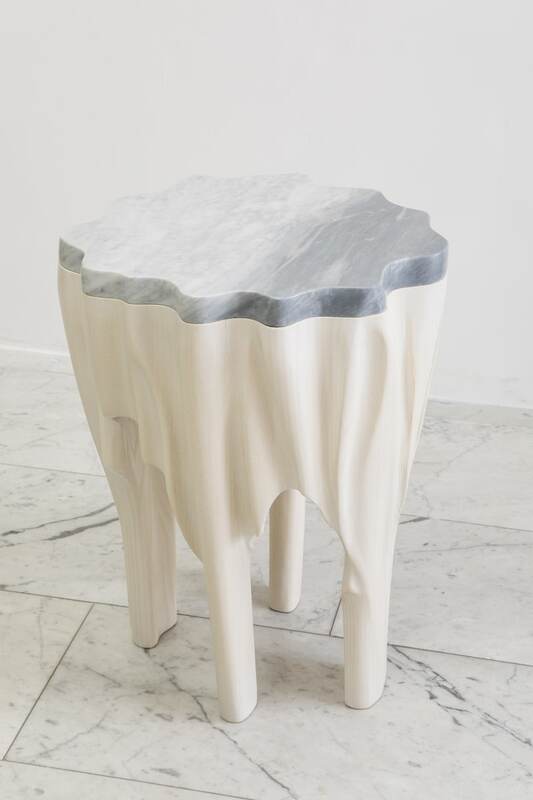 As Todd Merrill writes, “Markus Haase is not making a piece of furniture that looks like art. 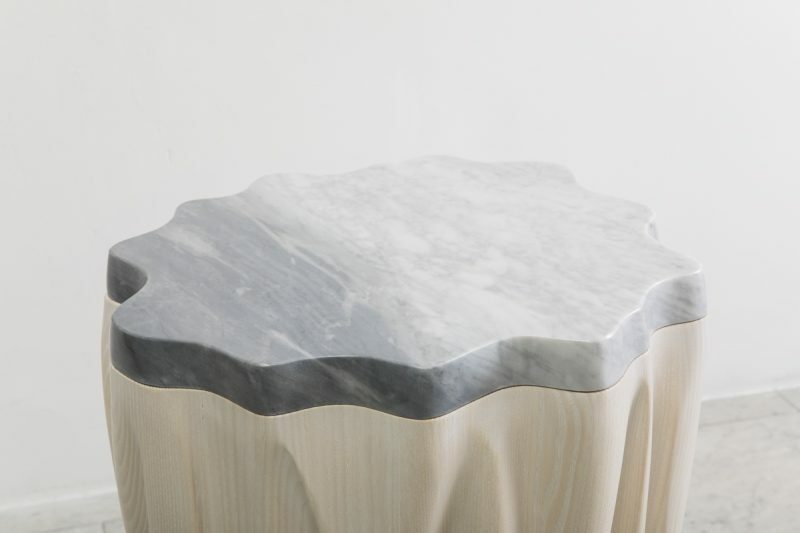 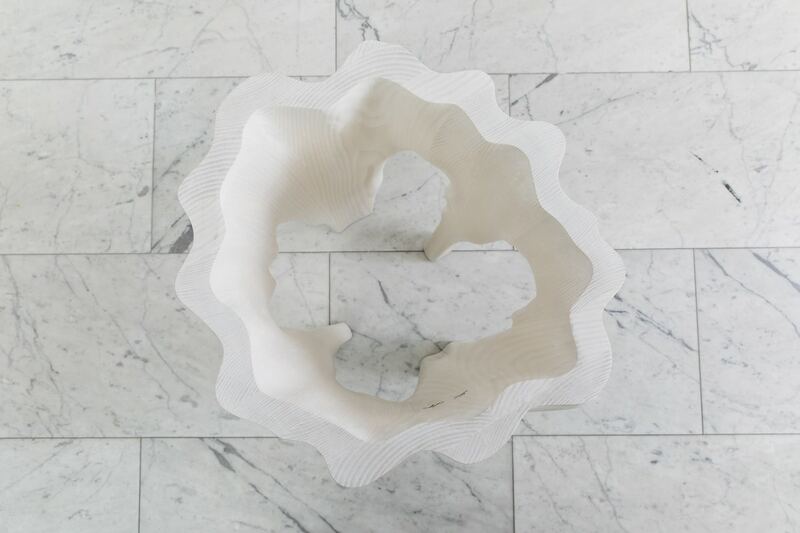 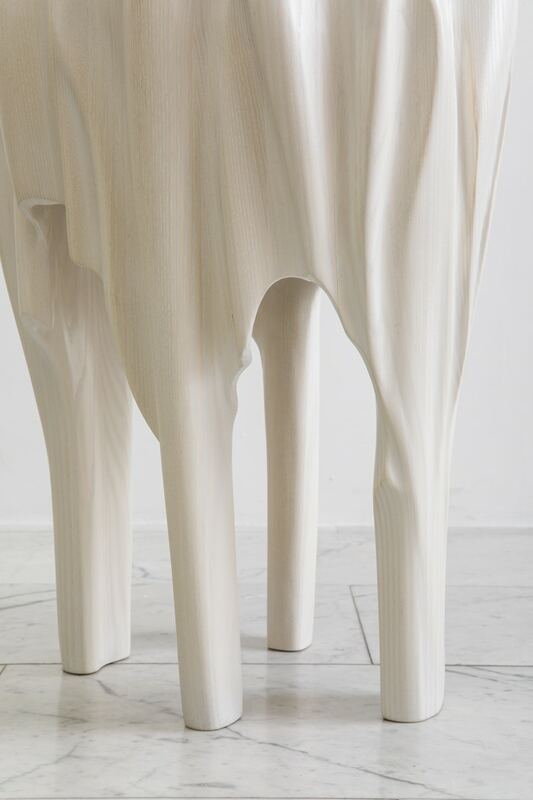 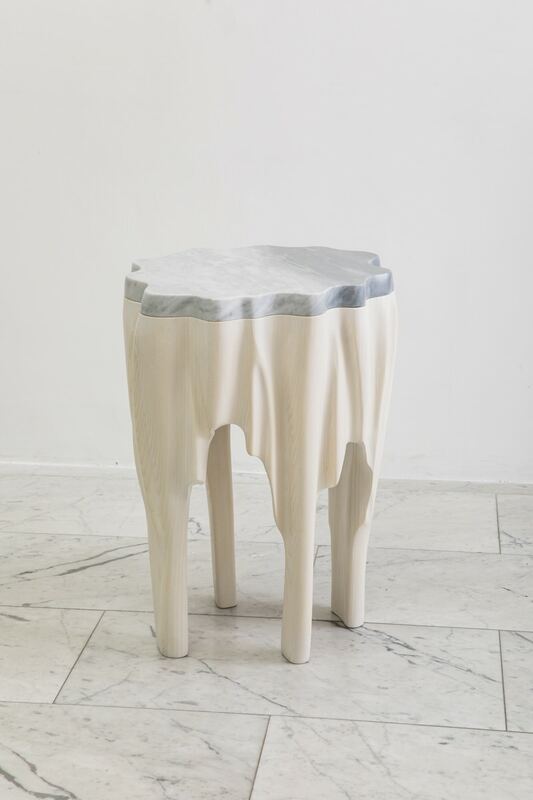 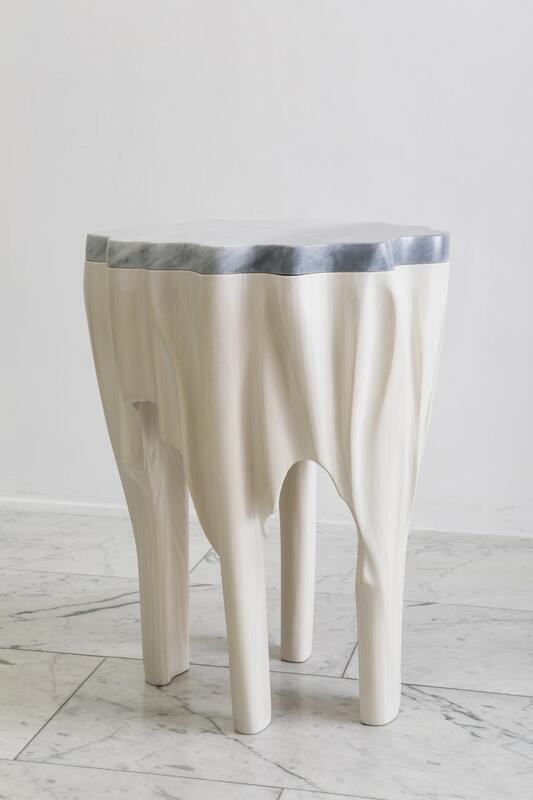 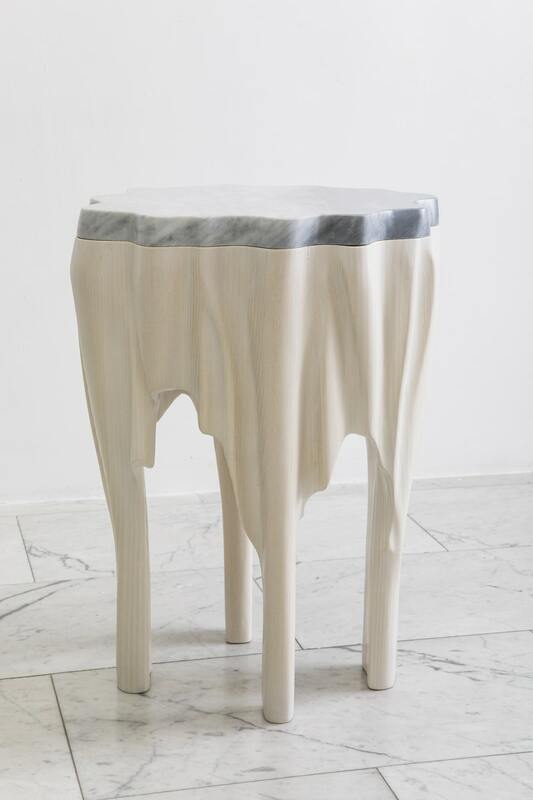 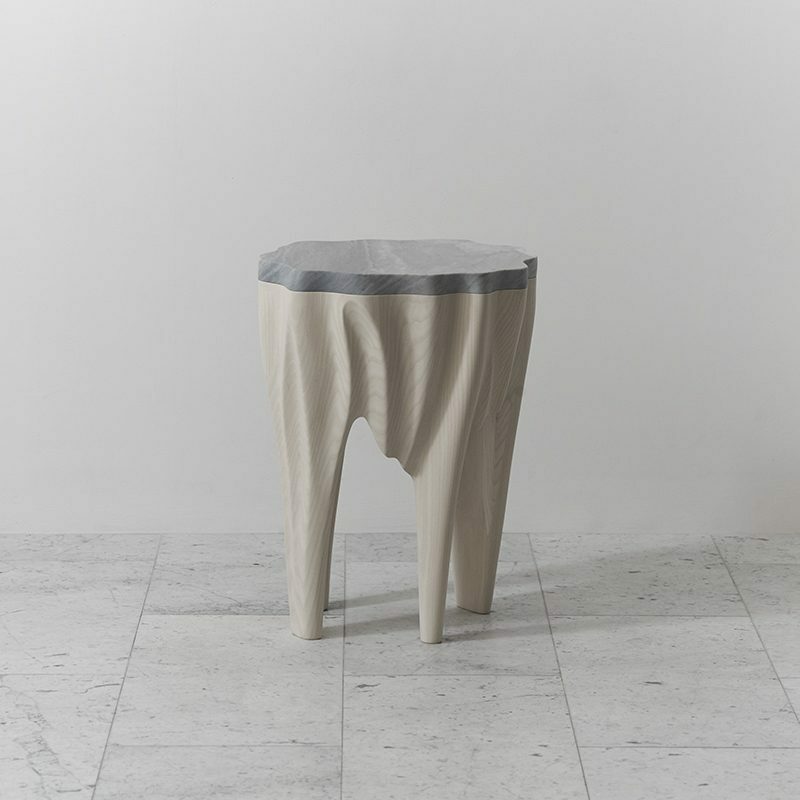 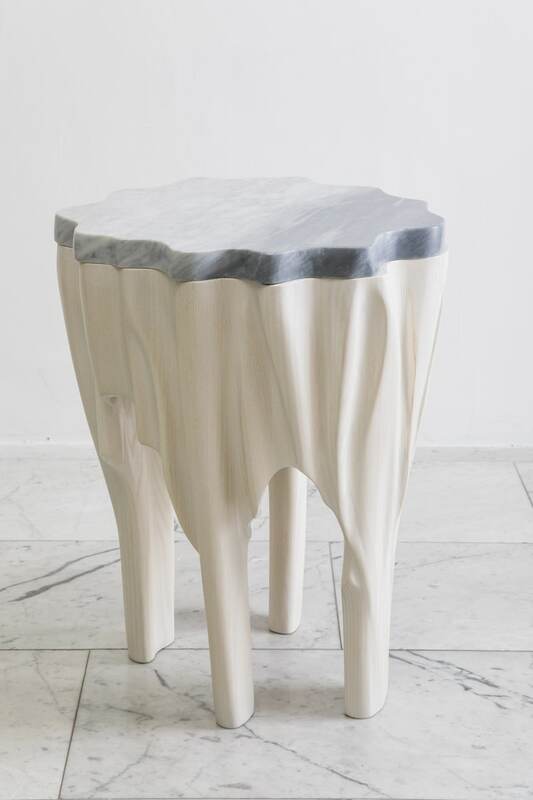 He is a sculptor making art that serves functional ends.” At once a unique standing sculpture and a functional object, Markus Haase’s ash and marble side table epitomizes the sculptor’s distinct approach to design. 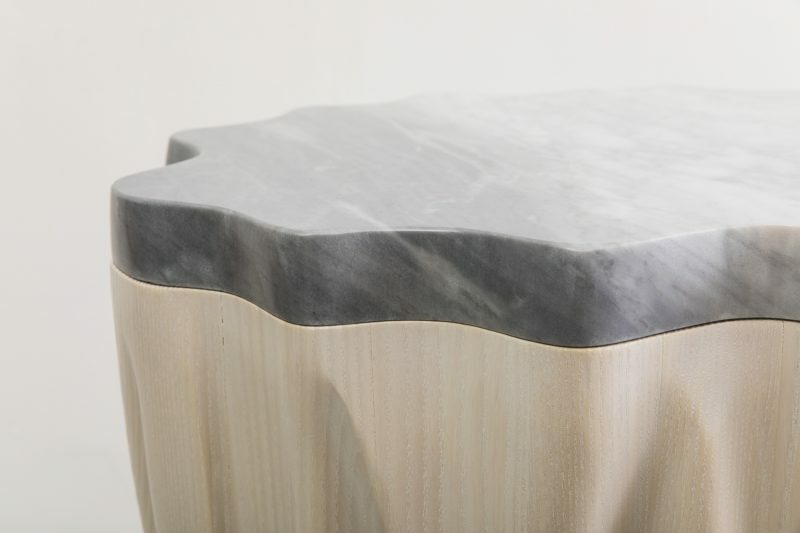 Smooth undulations of bleached ash appear as malleable as drapery as they curve in convex and concave forms beneath a hand-carved grey and white marble top. 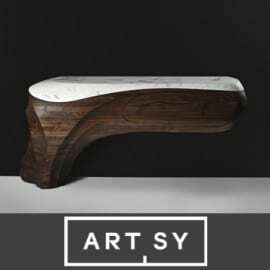 The artist’s two decades of experience as a sculptor are evident in his masterful treatment of materials.